The Rothney Astrophysical Observatory was inaugurated in 1972 at Priddis, a small locality 75 kilometres southwest of Calgary, Alberta. Belonging to the University of Calgary, the facility was operated by the astronomy and physics departments. The objectives the observatory were the advanced education of university students and the pursuit of astronomical research. 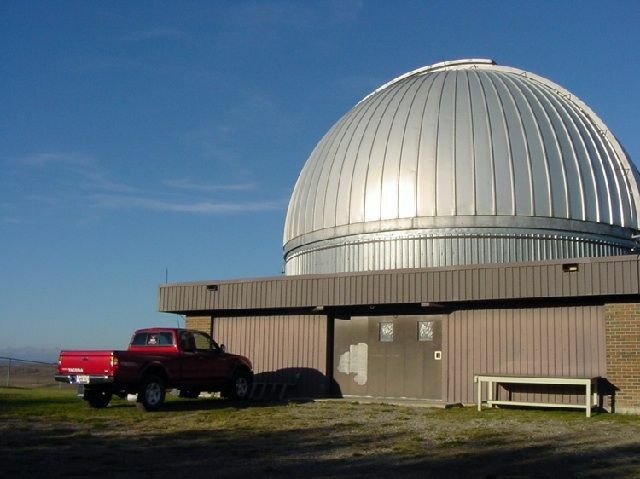 The history of the observatory began in 1967 when the physics department at the University of Calgary developed a graduate program in astrophysics, and the department soon decided to create an astronomical observatory for its students and researchers. In 1970, Alexander Rothney Cross, a wealthy rancher, donated land to the University of Calgary for the purpose of constructing the observatory. Work commenced in 1971 and the university took the opportunity to simultaneously start an undergraduate degree in astronomy. The observatory opened its doors in 1972 to display a dome housing a 41-centimetre telescope, and an adjacent lecture room. The first research activities were mostly on photometry. The year of 1981 was particularly fruitful for the observatory. The National Research Council of Canada decided to finance the construction of a new facility that would house a 1.5-metre telescope capable of operating in the infrared range. Alexander Rothney Cross signed on to the project by making another donation. The Canadian Forces Base Cold Lake also provided a gift: a Baker-Nunn camera that the Armed Forces had used to track satellites in the sky. The new facility was constructed by the physics department of the University of Calgary. Construction continued for several years and by 1987 the 1.5-metre telescope was operational. The physics department changed its name to the Department of Physics and Astronomy. Most of the research work focused on the study of stars, X-ray sources, possible black holes and planetary nebulas. The telescope was still equipped with a metal mirror (not glass), and its optical qualities were considered less than optimal by that time. The decision was made at the end of the 1980’s to replace it with a new 1.8-metre mirror. 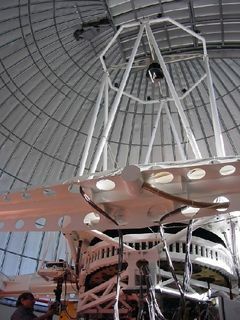 The new mirror was delivered to the observatory in 1993, and once again, Alexander Rothney Cross contributed to the project. Construction was completed by the workshop of the Department of Physics and Astronomy, and the telescope became operational in 1996. The following year, it was baptized as the Alexander Rothney Cross Telescope in honour of the generous benefactor. The new telescope is used to observe (among other things) gravitational lenses, asteroids, comets and variable stars, and is also used in the search for planets outside our solar system. Recent developments include a new Visitor’s Centre that was inaugurated in 2003. 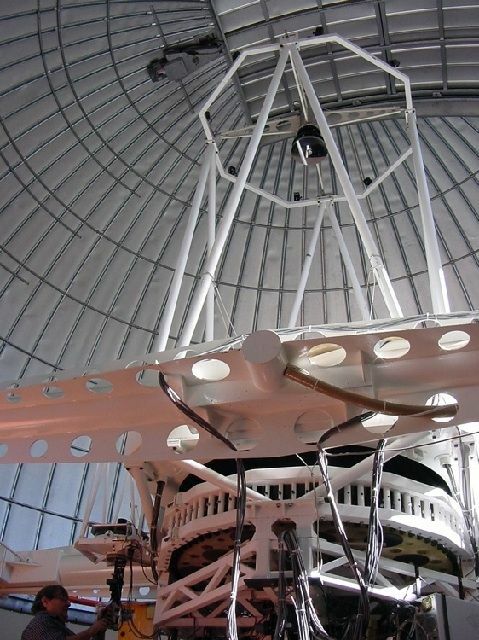 The 41-centimetre telescope continues to be operational and is used to track asteroids that orbit near Earth and represent a possible danger.